It's now really edge to edge. 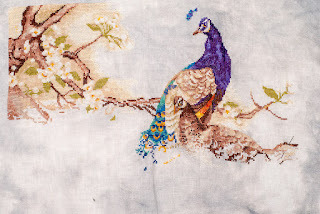 I've been filling in bits on the peahen and the background behind her lately. It seems to be getting more done, but the going is sloooow.